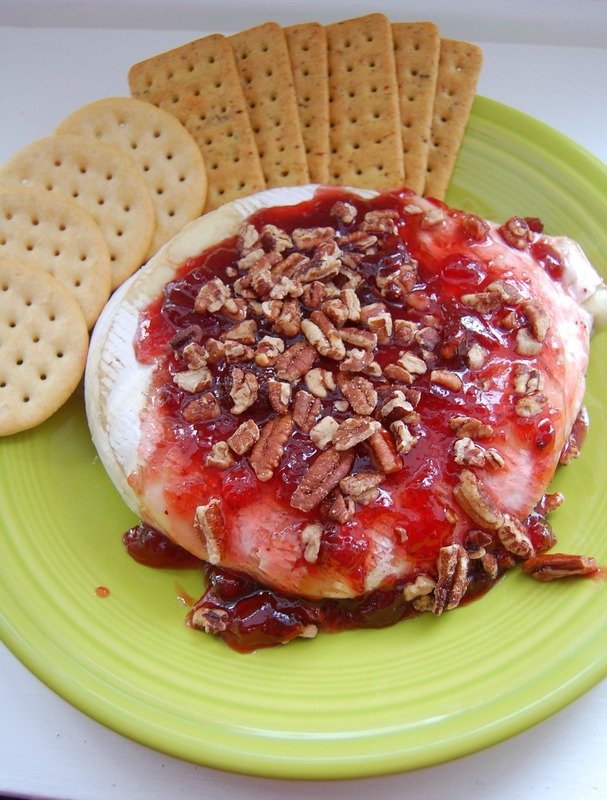 Strawberry Pecan Brie - Who Needs A Cape? 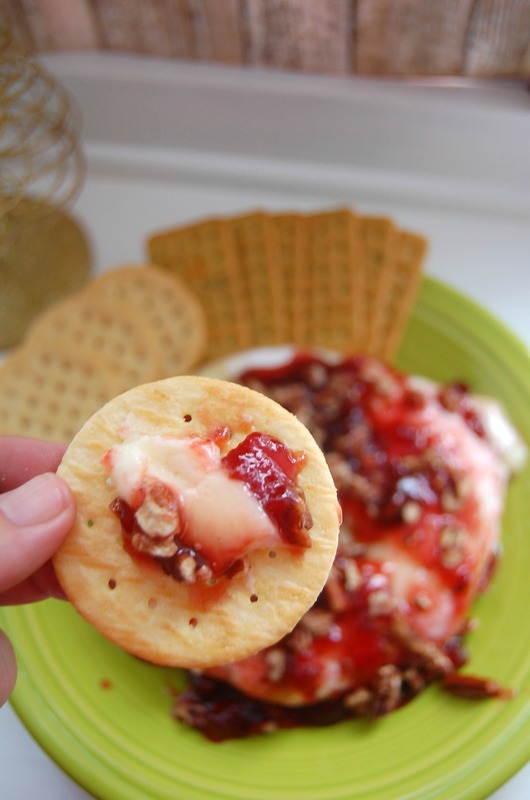 Strawberry Pecan Brie is the most amazing Baked Brie! 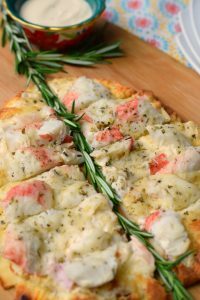 You’re going to love the taste and how simply easy it is to make! I’m pretty sure that all of you who have read any of Who Needs a Cape has realized that WE LOVE APPETIZERS! It’s honestly my favorite food. Dips, Spreads, quick snacks…I don’t need dinner if I have some amazing appetizers. 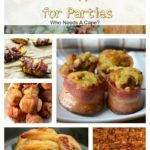 I can’t get enough of them, which is why I am always looking for variety of appetizers. 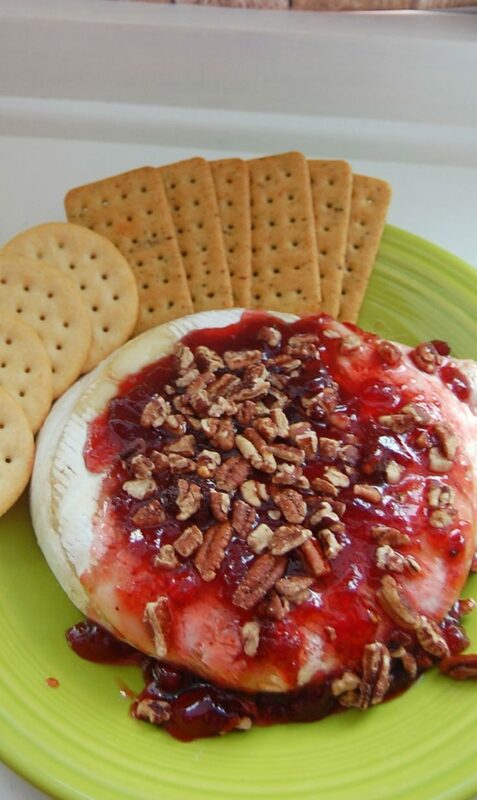 In walks Strawberry Pecan Brie. 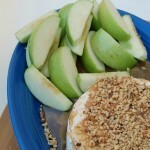 Baked brie??? I can’t get enough of it. So I’m always looking for new toppings. 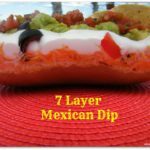 You are going to LOVE how easy this is and how great it is to eat! Just for reference, I pull (cut really) some of the top rind off. You don’t have to, but I like it when the cheese is totally open to get nice and browned. It’s just a preference really. 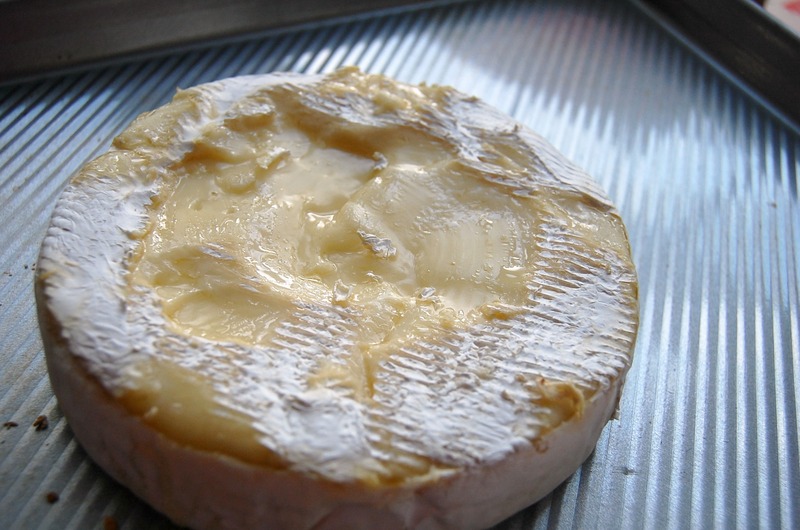 The Brie will be completely fine if you don’t do it (and if you notice – I don’t do it perfectly). 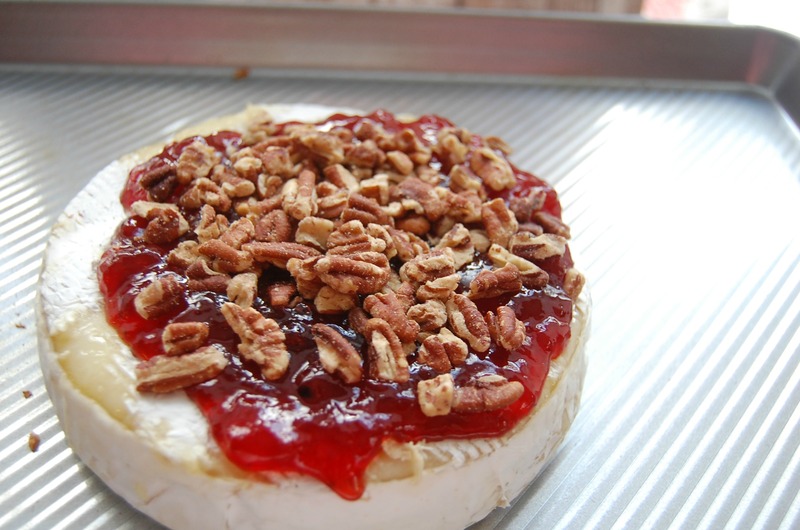 Look how that Strawberry Pecan Brie looks. I mean, I ate this already and now I’m ready to make another one. 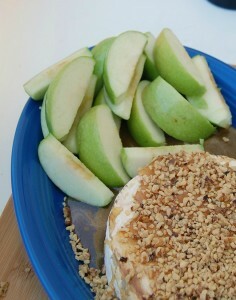 I can’t get enough of a baked brie. It’s such a versatile app. 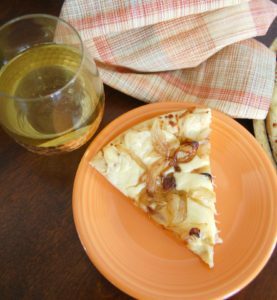 You can save your brie for a fancy, formal occasion or you can just eat it on a Friday night with your favorite cocktail. 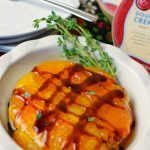 It’s a Football Snack, it’s a party snack, it’s a holiday appetizer – it’s just that versatile of an appetizer! YUM! 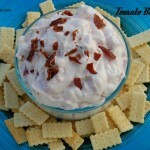 Whatever reason you decide, just make sure to make the amazing Strawberry Pecan Brie! Oh WAIT! If you hate pecans for some odd reason – go ahead and use chopped walnuts instead – it will be almost as delicious! SO GOOD! 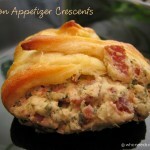 Want to be inspired by some more amazing appetizers? You know we have a ton, so here’s some more ideas!!! I need to make them all! I guess I have a reason to have another party sometime soon!!! !